That’s one of the problems doing a university course on the origins and development of rock music, you end up listening to stuff like this (although I actually like it). I have to say that this must be one of the greatest ever names for a band (a skillet is a frying pan for all you non-US readers). 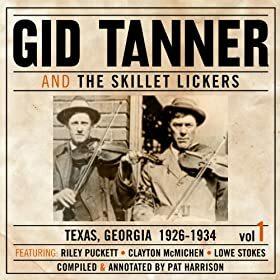 I am getting addicted to this early Appalachian music, it is fascinating stuff, although when I was playing it today my wife and daughter looked at me is if I had lost the plot.